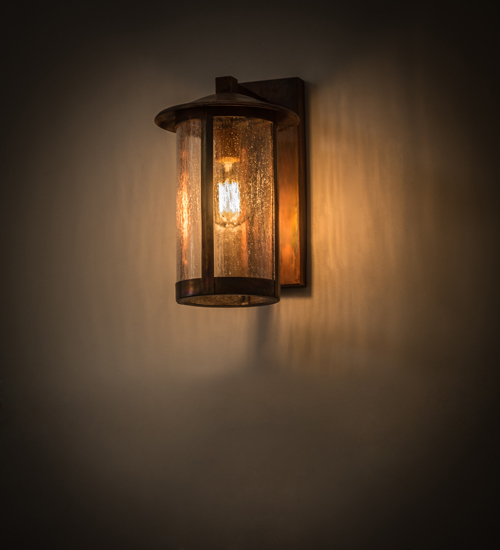 Description: Handcrafted of Solid Brass, this handsome lantern is designed with stunning Clear Seeded glass and cylindrical shaped hardware finished in a Vintage Copper. This Signature Craftsman fixture, which uses a customer-supplied 9 watt LED lamp for energy savings, reduced maintenance and long life, is UL and cUL listed for dry and wet locations. Custom crafted by Meyda artisans in the USA, the pendant is available in a variety of custom sizes, styles, colors and dimmable energy efficient lamping options.